Did you have feeling for foods and your hometown when you were in your teens or a student? I was born to a full-time farmer in Sagara-village, located in the Kuma-county in Kumamoto prefecture and I grew up in that kind of a family environment, therefore I thought that I should not get vegetables at a supermarket. I myself have been sustaining my life by eating local seasonal foods whose preparation required some effort and time and I made them with love and enjoyed them. It is said that Japanese eating habits have changed so rapidly in such a short period of time, with no comparable case in the world. As well as urban areas, in rural areas, the nuclearization of the family is increasing and fast-food restaurants are spreading while the local home cooking has not been passed down. The familiar sights which I saw in my childhood are no longer there. With such a sense of crisis about these situations, we started the ‘Local Cuisines Tradition School’ and developed dietary education in collaboration with women in the region in order to expand and pass down the local cuisines that use a rich variety of local ingredients in season. You had fought against cancer for one year, when you were 37 years old. Please tell me how that deepened your thoughts after that a one-year struggle against the disease. There was a time when I was raising three children while I ran an architect office together with my husband. Suddenly, one day, I was informed that I had cancer and consequently I had to be repeatedly hospitalized over the course of one year. Before I was informed, I had never had an opportunity to face my own death. At that time, I felt like I should review the ‘foods I eat’ and my ‘way of living’ from the ground up. After my fight against cancer, in 1989, I established a volunteer group called Himawari group which delivered lunch boxes to the elderly and which studied the local cuisines. In 1998, I, together with members of Himawari group, started a community restaurant called Himawari-tei managed by housewives in the region that focused on local production and consumption. It is a waste not to make good use of the ‘wisdom, experiences, skills and sensibilities of the older women’ which can be said to be a local treasure, nor to make use of the wonderful ingredients of the region. Also, it would have been a waste not to make use of a 120-year old private house which was on the verge of demolition. Based on the restaurant, created by reassembling an old private house in a new location and using ‘mottainai’ (do not waste) as a keyword, we serve safe and secure cuisines using local ingredients to the fullest extent. We expanded these activities further to establish ‘Ryukinka-no Sato, Research Institute for Meals, Agriculture and Humans’ in Asagiri-town, Kuma-county in Kumamoto prefecture in 2017. When you were running a predecessor of Himawari-tei, I suppose you had a hard time. But you decided to continue the activities. Please tell me what was source of your motivation. 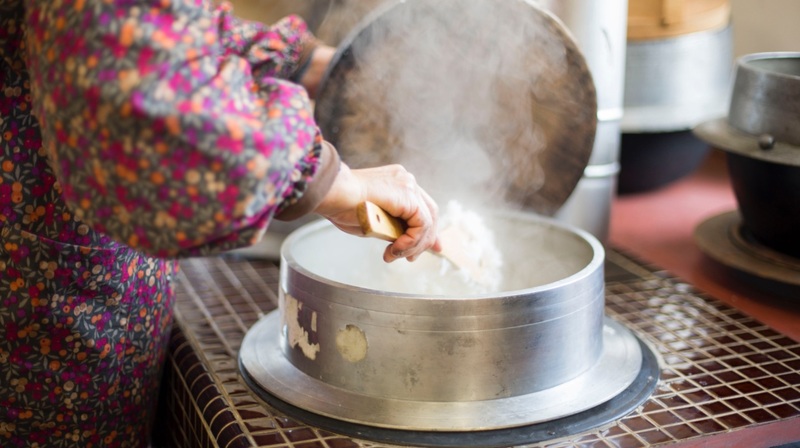 It was rare for women to start up a company in rural regions in the 1990s, and so people around me told ‘Can old women living in a rural area do business by serving local cuisines?‘ over and over again. These questions made me resolve to challenge and get my business on track by any means. I have always kept in mind the saying ‘Little and often fills the purse’, and continued this work. When women start a business, it is difficult to have a financial arrangements. Himawari-tei was no exception. When we tried to get a loan from a local bank, we had trouble and we could not get it initially. Therefore, what we first did was to create a business plan over half a year, and finally finished it with support of an expert. For five years after the opening of Himawari-tei, our story has been full of struggles. The staff, who are older women, are professionals at cooking, however there were many challenges as an organization concerning human relations. In order to solve these challenges, we developed trainings and received advice from the outside experts on how to develop out teamwork. Currently, based on the knowledge and know-how gained from those experiences, we hold local community revitalization seminars as a tool to be shared around the region. Tell me the whole story of how opened Ryukinka-no Sato, Research Institute for Meals, Agriculture and Humans. Due to a relationship which took a long while to cultivate, we received one vacant old house from a homeowner of Himawari-tei. We then repaired the house to create a new community based on the idea of food, agriculture and life as a theme for the purpose of training human resources to play a key role in rural areas in the future and to create another new hub. Ryukinka is a flower of Asagiri-town which is associated with the idea of with ‘happiness that will surely come’ in the language of flowers. We did not waste (mottainai) the old furniture which was in the old house and repaired all the pieces. We connected hubs and resources in the region centering on Ryukinka-no Sato as a regional core and are now aiming for a new way of farmhouse accommodation based on an integrated approach with the local community by ‘Eco-museum of foods’. 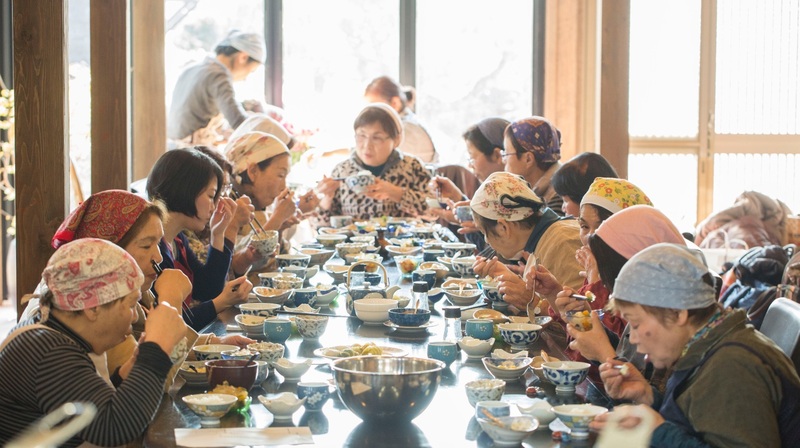 In Ryukinka-no Sato, we invite guests to these farmhouse accommodations, open local cuisine cooking classes called ‘Meals for life’ and hold seminars to revitalize local communities. What kinds of visitors do you want? We welcome people those who have purposes, such as ‘want to open a guest house where people are gathering from all over the country’, ‘want to open a café to be a center of the local community’ and who are looking for a better way of working or living. I especially feel that there are few places for women to learn, and Ryukinka-no Sato is focusing on training and education to support the psychological and economic independence of women. Can we visit Ryukinka-no Sato? How do we visit? Please feel free to visit Ryukinka-no Sato. We are offering many opportunities for visit including the Meal for Life program and accommodation experience. If you do not know what to do in the future, please visit us. If you visit, we hope you would be able to identify a direction you want to go in the future and would think positively. This is how we started and we will still continue to be such a place. Regardless of your purpose, please feel free to visit us. Do not worry about having many different thoughts, but think of this as an opportunity‘ to refresh your mind’ or ‘to be true to yourself’. We would be happy if you feel something here. I think that the main theme of Ryukinka-no Sato is the cultivation of human resources. What kind of persons do you want develop here? Because each person has a different sense of values, I have no idea about the type of human resource that I want them to be. The important thing is this. What do you want to do in order to live with a rich spirit? How do you implement and realize what you want to do in order to feasible it your own business? Ryukinka-no Sato is the place where we can study and learn about such things from each other. Even though you only talk about your dreams, this cannot lead to actual gains if you do not take any concrete steps such as starting your own business. Please visit us and we want what you learned here to be a milestone toward achieving your dream. Why did you decide to develop human resources? There are resources such as nature, industry and intellectual culture which are unique to the region. However, current situation is that there only a few coordinators who understand the reality of the region and have such specialized knowledge. Since there are only a few coordinators who connect the region to the human resources in the region, it is difficult to disseminate the regional charms even though our government tries to promote activities including farmhouse accommodation program or regional exchanges. I believe that the coordinators who can connect people should be in the region. I myself have been engaging in the challenge of community formation for a long time, so I strongly feel that to train coordinators is indispensable for community development in the future. Ryukinka-no Sato conducts tailor made seminar training on request. What kinds of requests do you receive? We have originally accumulated 20 years of experience in Himawari-tei. 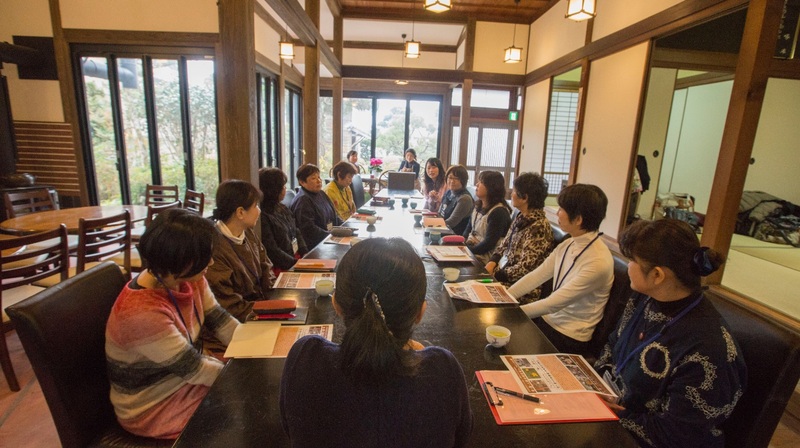 When we ran Himawari-tei, we held business seminars for female entrepreneurs and persons who were engaging in community development. Ryukinka-no Sato is not a new approach but was developed from the experiences of community business in Himawari-tei. In community businesses, the three important pillars are to ‘always achieve results’, to ‘always keep evolving’ and to ‘always keep learning’. If you do not achieve results, efforts of community development result only in self-satisfaction. After achieving results, we have to evolve constantly to respond to the changing times. Furthermore, we must have the ability to relearn to respond to these changing times. This also applies to human resource cultivation for local businesses. Ryukinka-no Sato is a place where we relearn something by interacting with each other. This type of learning is not through traditional types of learning such as learning in a conference room or training conducted by an administration body, but through creating opportunities with each other in a shared living space. This means learning while eating and learning while interacting. Ryukinka-no Sato is a place where we learn how to live and work while growing together. What kind of future do you imagine for this place? I think that this place will change depending on the people who visit, not on what I want to do. It would be great if people who gather here would make a new start for living and food consciousness. In other words, I want everyone who would visit here to take part in creating this place together. I do not want to force what I want to do on people who would gather here, but I do hope the people gathering here will be able to cooperate to form and create a new community together. We are aiming to create a place where we can learn and grow together here at Ryukinka-no Sato. Born to a full-time farmer in Sagara-village, Kuma-county in Kumamoto prefecture. 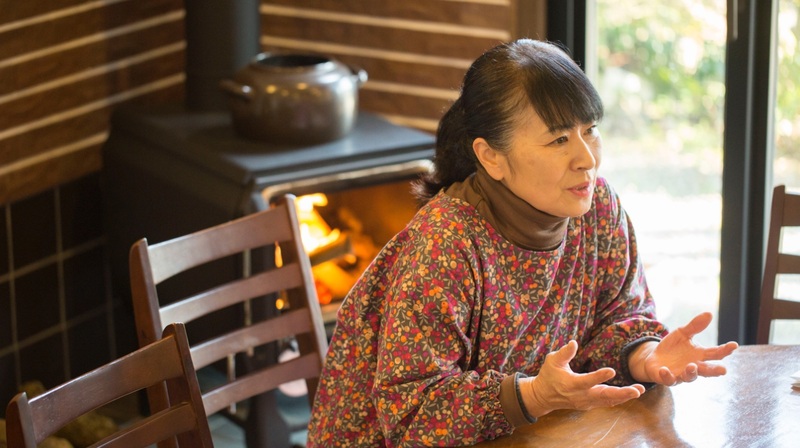 After surviving a bout of cancer when she was 37 years old, she initiated volunteer and town planning activities while forming the Himawari group. 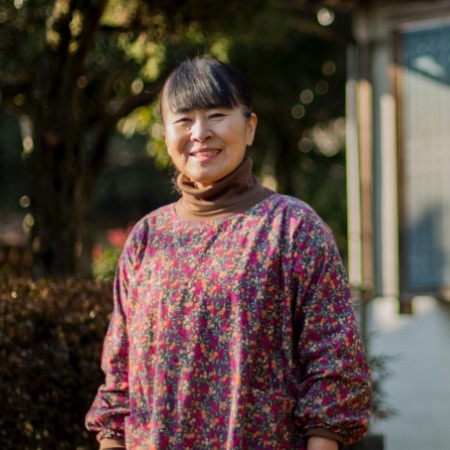 Together with the people she met through those activities, she opened a local home cuisine restaurant called Himawari-tei in 1998, an enterprise based on the Japanese idea of ‘Mottainai (do not waste)’. In 2017, she established ‘Ryukinka-no Sato, Research Institute for Meals, Agriculture and Humans’ in Asagiri-town, Kuma-county in Kumamoto prefecture and is currently working to develop human resource cultivation to pass on agricultural knowledge and traditions to the next generation.